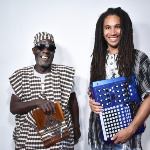 Kondi Band is an inspired collaboration between Sierra Leonean kondi (thumb piano) player Sorie Kondi and US producer Chief Boima, who himself has Sierra Leonean roots. The project was spawned after Boima happened upon an online video of one of Sorie’s original tracks, ‘Without Money No Family’. Struck by his characterful voice, socially-aware lyrics and incredible playing on his self-made instrument, he determined to remix it. As a result, Sorie’s manager in Freetown reached out to Boima and, after a successful Kickstarter campaign, Sorie travelled to America for the first time for a five-date tour, during which he and Boima worked on new recordings which form the nucleus of the debut Kondi Band album Belle Wahalah. 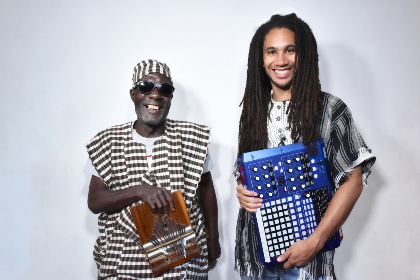 Boima subtly integrates contemporary electronic sounds, creating a natural next step in the evolution of Sierra Leonean music.